One of the things we enjoy about working with other marketers in the restaurant industry is that we can dig deep into consumer surveys and get a glimpse into behaviors and attitudes of all kinds of people in different geographies. We especially enjoy seeing how younger generations differ from their parents and grandparents in our mailing areas. 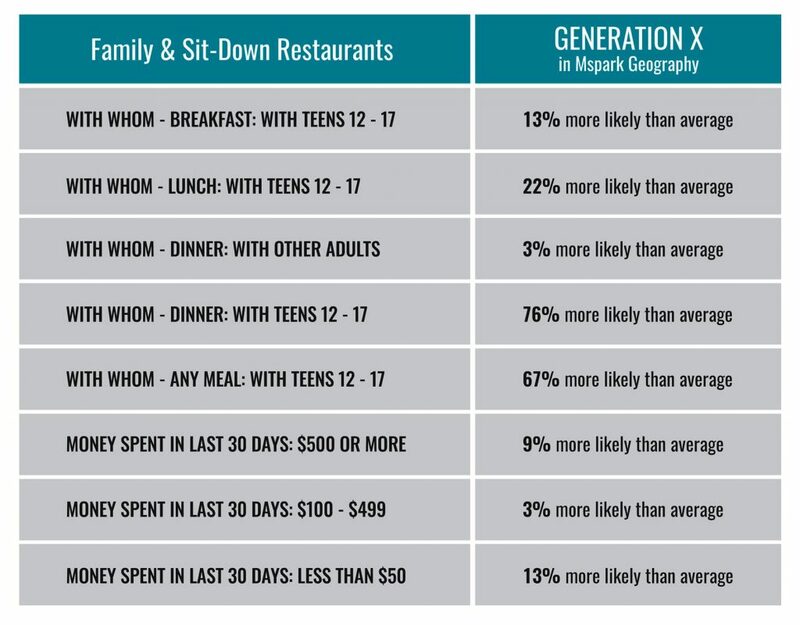 When it comes to attitudes, behaviors, and preferences about dining out, Millennials, Gen X-ers, and Baby Boomers couldn’t be more different. 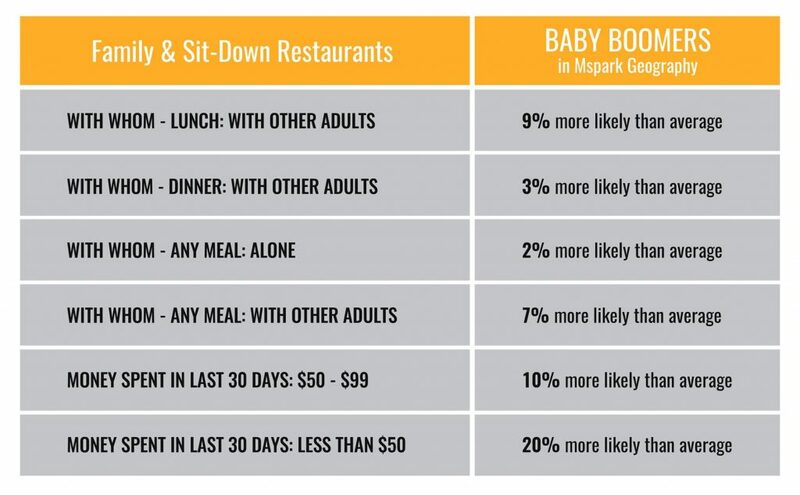 So, to explore how they differ, we created these charts along with our take on what they might mean for restaurant marketers who want to attract more diners in the months ahead. One thing about Millennials, especially in our mailing geography, is that they are all about enjoying the time they spend with their friends, co-workers, and family. Chances are, you will not find many Millennials having lunch in a restaurant by themselves. They will be at Panera Bread or elsewhere having lunch with their co-workers. Or they will be at Ruby Tuesday with their kids having dinner. Many are young families with young kids – though some already have kids over the age of 12. 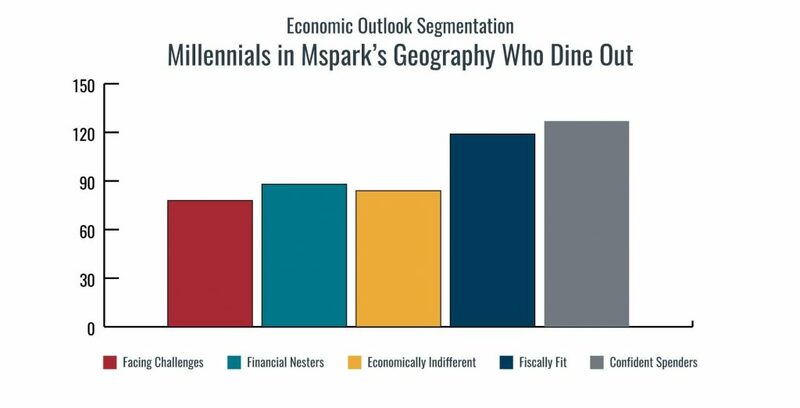 The chart below tells us Millennials in the Mspark geography tend to have more of a positive economic outlook. They over-index by 27% for being “confident spenders”, meaning that compared to the average adult, they are more inclined to continue their everyday spending habits – or even spend more. They also over-index by 19% for being “fiscally fit”, meaning they feel financially comfortable, but they keep their spending under control. 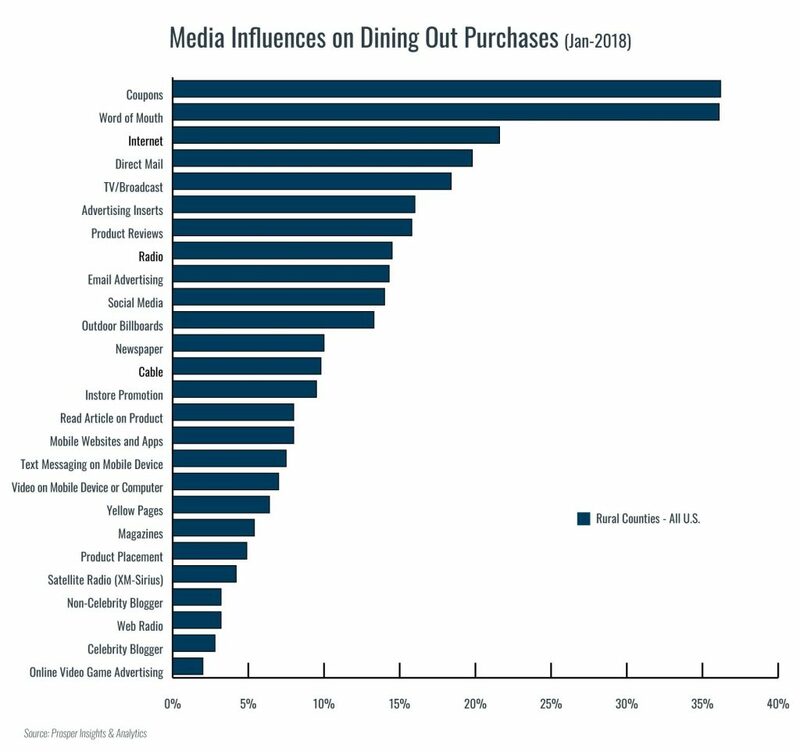 For restaurants, this means that Millennials may have more disposable income to spend on dining out. While they are certainly not splurging every visit, they are more likely than average to have spent between $50 – $99 in the last 30 days on dining out at full-service restaurants. And their larger ticket sizes are likely due to having kids along with them. Facing Challenges – Facing challenges and the realities of the current economic situation; won’t be purchasing big ticket or household items due to poor consumer confidence; their financial situations are worse than they were 12 months ago; they are not hopeful about their personal financial futures or that of the US economy. Financial Nesters – Trying to maintain lifestyle with a “business as usual” outlook but haven’t lost sight of the changes taking place in the US economy; do not expect the economy or their personal financial situation to improve anytime soon, but continue to make purchases. Economically Indifferent – Out of the mainstream; indifferent to the economic downturn; don’t have a sense that the economy is slowing down or getting better; modest financial situation is not a result of the current economy. Fiscally Fit – More flexible and adaptive to changes in the market; optimistic, feel financially secure and well positioned during the current downturn; keep spending under control with few big- or even medium-ticket items planned in the near future. Confident Spenders – Largely untouched by the current economy and continue their regular spending or even increase their spend; confident about their current economic condition, financially secure and even willing to take investment risks. Practical, pragmatic, blunt, “tell it like it is” Generation X is busy with life, career, and family. For Gen X-ers, many have middle and high school aged kids. As we can see in the chart below, they over-index quite a bit for having breakfast, lunch, and dinner with their teenage kids. This is not a group that stands out for having lunch alone or with co-workers in a restaurant. At work they tend to be very independent and project-focused – more inclined to finish their daily tasks and grab a quick lunch versus meeting up with co-workers at a restaurant. 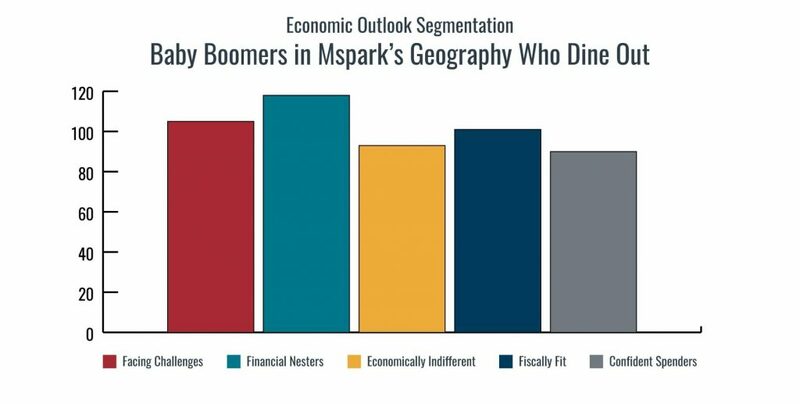 Gen-X-ers in our geography are a bit of a mixed bag when it comes to spending and their economic outlook. We can see from the chart above that they over-index for all three of the spending ranges when it comes to dining out at restaurants in the last 30 days. But they stand out more for spending both a lot ($500 or more) and a little (less than $50). Looking at the chart below, we see that they over-index for being confident spenders, economically indifferent, and financial nesters. 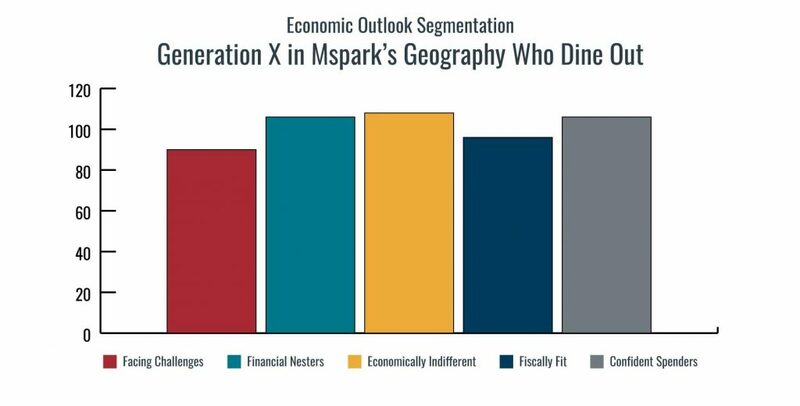 This means we have a significant portion of Generation X, the “confident spenders” who have an economic outlook that would explain the behavior of spending $500 or more a month dining out at restaurants. The “economically indifferent” outlook would explain any amount of spending because those who fall into this category are not in tune with the current state of the economy, nor do they feel impacted by it. They will not feel anxiety about dining out if the economy slips downward. Gen X-ers that would fall under “financial nesters” are very much thinking of the economy. They likely have not forgotten the recession, being laid off, or seeing businesses in their local community close. They are still dining out but might be more inclined to spend less monthly. For restaurants, appealing to Gen X-ers’ no-nonsense, pragmatic personality, as well as their busy lifestyle, would be great ways to earn their business. Here we have the parents of Millennials – the Baby Boomers. These retired empty-nesters in our mailing geography are living very different lives than their younger counterparts. Instead of spending most of their time with kids, they are usually out pursuing their interests with their spouse, with friends, or others in their local community. You’ll find them having Sunday lunch at Cracker Barrel with friends and/or other adult family members. Sometimes you’ll even find them enjoying a meal alone. As far as economic outlook goes, Baby Boomers are entering or nearing retirement. 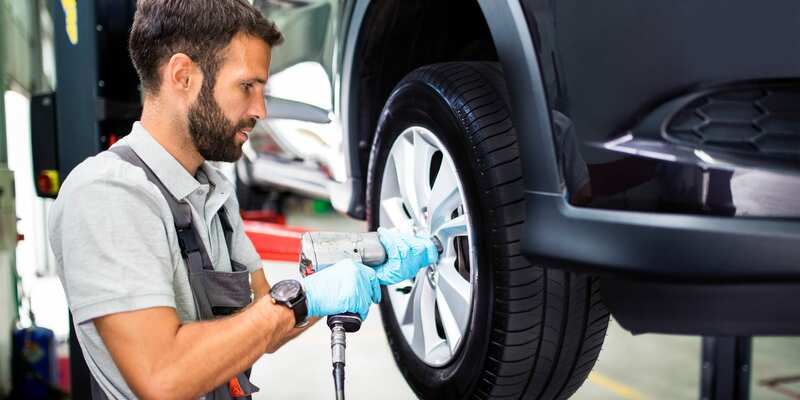 Having a lifetime of experience in good economies and bad, especially the most recent recession, the realities of trading a regular paycheck for retirement, as well as rising costs of healthcare, may be leading them to keep a close watch on what’s happening in the economy. This would explain why Boomers over-index 18% for being “financial nesters”. 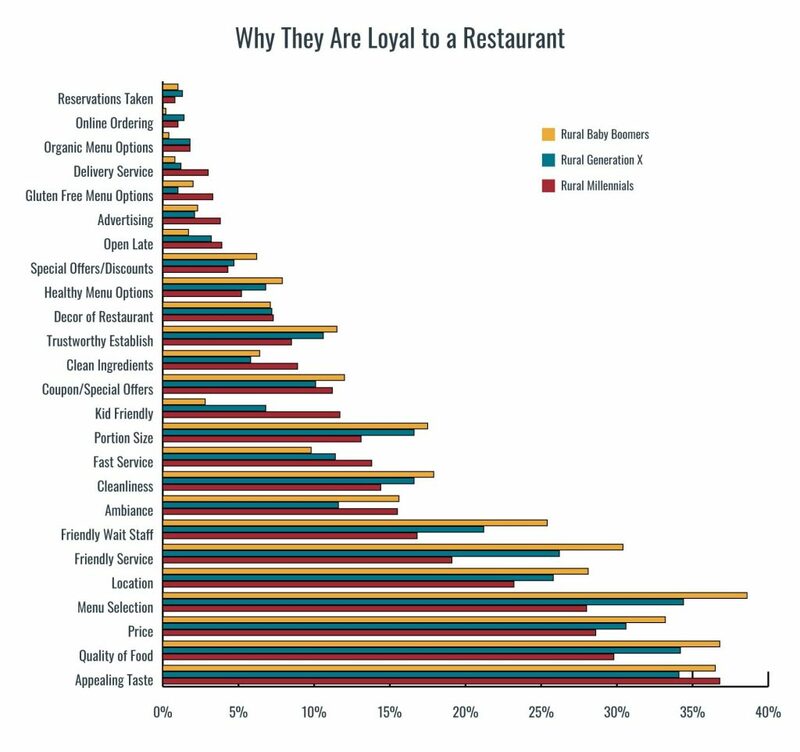 It would also explain why they are so much more likely to spend less on dining out at restaurants. For restaurants, understanding that Baby Boomers may be more sensitive to downturns in the economy is key. Coupons and discounts would likely appeal most to this group. 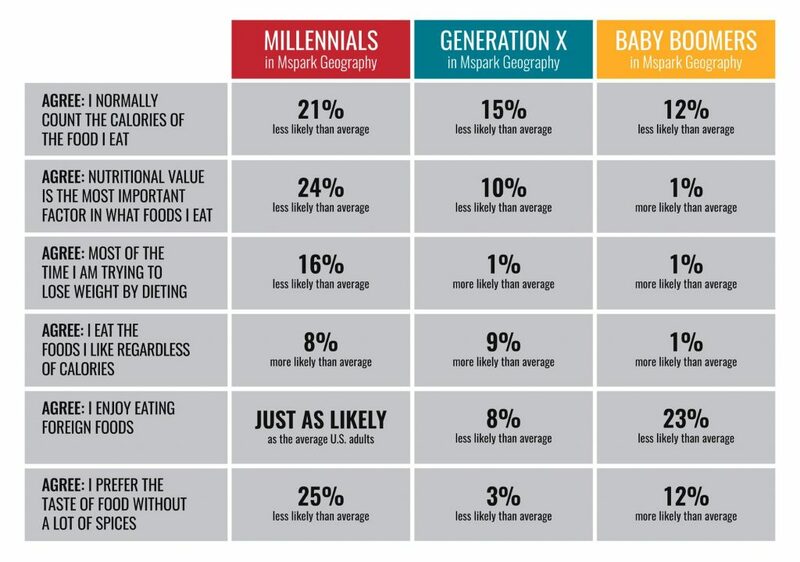 Millennials in our geography tend to be much more carefree and adventurous when it comes to food preferences. They are not into dieting or counting calories – they just want food that tastes great. Bring on the flavor and spices! 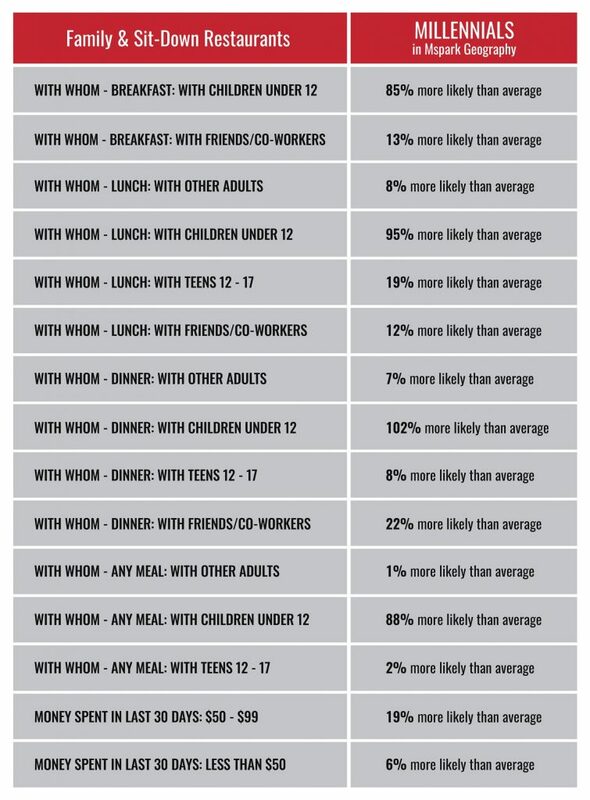 For Generation X, they are slightly more aware of calorie content and nutrition – more likely to diet. But true to their rebellious nature, they’ll still eat whatever foods they like, regardless of calories. While they are less likely to enjoy foreign foods, they still like some spices in their food. Boomers are much more health-conscious than their Millennial kids, but that’s not saying much. They will still indulge in their favorite foods regardless of calorie content. They prefer country cooking – meals like country fried steak and green beans. Simple, nostalgic meals without a lot of spices and would be more likely to veto going out for Mexican or sushi. For restaurants that offer foreign foods – Middle Eastern, Italian, Greek, Hispanic, Asian, Indian, this may mean that Millennials are the group to pay attention to. Average monthly visits in the chart below were not surprising to us given what we know about Millennials in our geography. They are more confident financially, and more social than older generations. 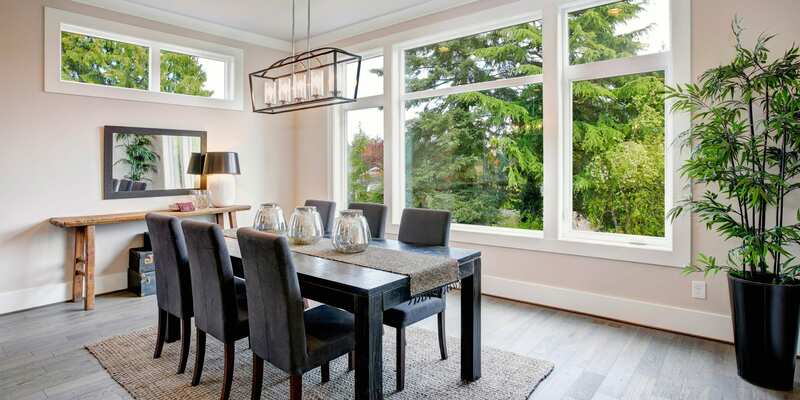 They are also more adventurous when it comes to food and dining out choices. For Boomers on fixed income, they are more likely to limit dining out. Millennials in our geography are not as easily driven to restaurant loyalty as older generations – at least not for the typical things like taste, quality, price, service, selection, or location. They do, however, stand out with things like delivery service, gluten free options, advertising, being open late, clean ingredients, kid friendly, and fast service. That’s not to say the things that top the list for everyone do not apply to Millennials – they just don’t place as much value on them as Gen X or Boomers. With perhaps the exception of appealing taste…that’s always a pretty big deal. 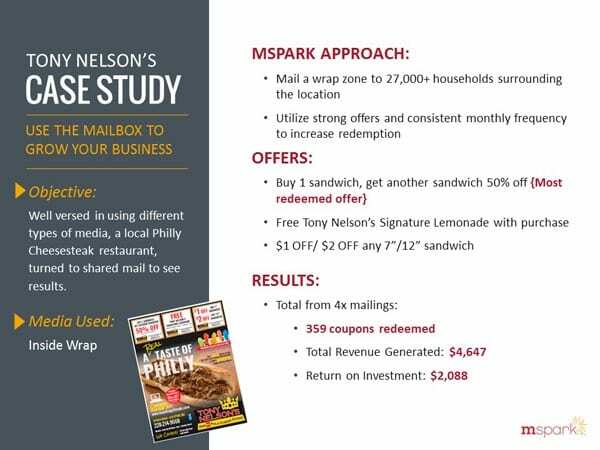 Whether Millennial, Gen X, or Boomer, coupons are always a favorite – as we’ve noticed for many years with our clients mailing into Mspark geographies. So, when we saw this stat in the chart below, we were not surprised. Word of mouth of course is always very powerful, especially in tight-knit communities. As far as internet goes – having excellent online reviews is a must-have. 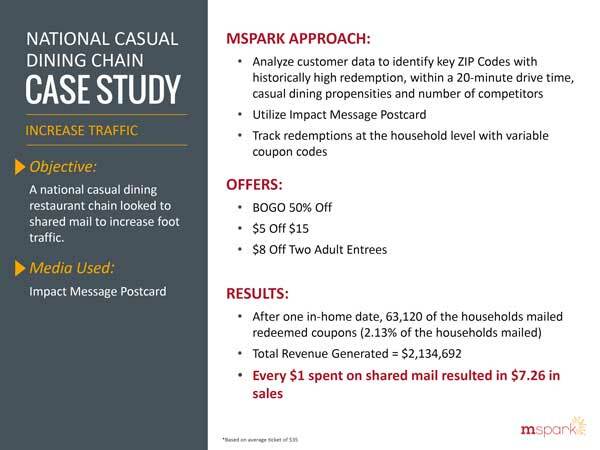 Direct mail, we see is just as important when it comes to influence – so even if a restaurant doesn’t offer coupons or discount, just having that visibility in the mailbox and restaurants appealing to the right groups with messaging that speaks to them, specifically is very influential. We certainly advise trying out a number of approaches and messaging to better reach restaurant customers – whether they’re Millennials with kids, Gen X-ers with teens, or Boomers living it up in their retirement. If you find yourself wanting to know more about these groups and how to best reach out to them, let us know. 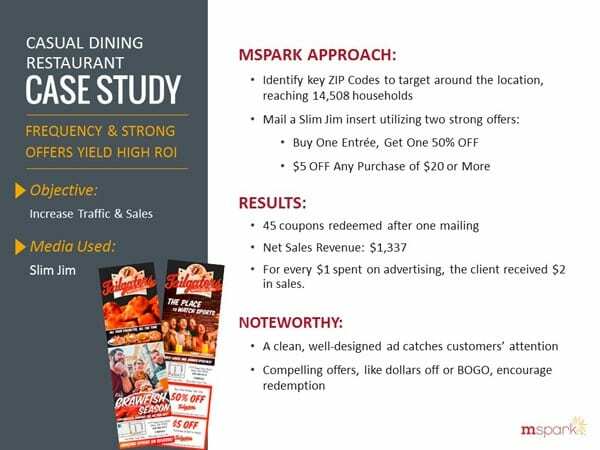 We are always happy to dig into the data and strategize with our restaurant clients. Check out some of our restaurant success stories below for inspiration!